Enter your details below and one of our call centre agents will contact you. Car Cure provides stress-free car care that allows unlimited claims and a three-year guarantee on the repair of scratches, dents and chips. 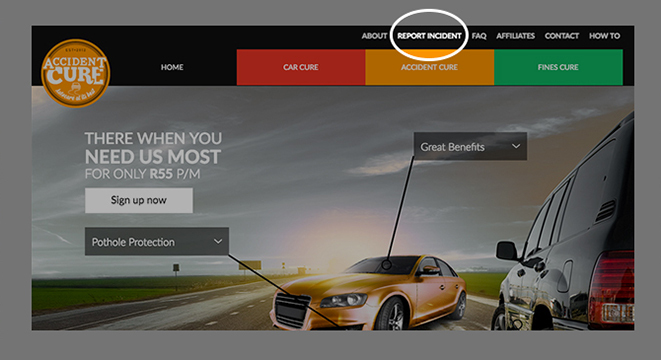 Accident Cure makes sure all your accident and pothole misfortunes are taken care of without the headache of having to deal with the Road Authorities and the Road Accident Fund. Fines Cure takes care of any administration related to traffic fines giving you peace of mind that your fines are being taken care of legitimately and securely. © 2019 Auto Cure. All rights reserved. 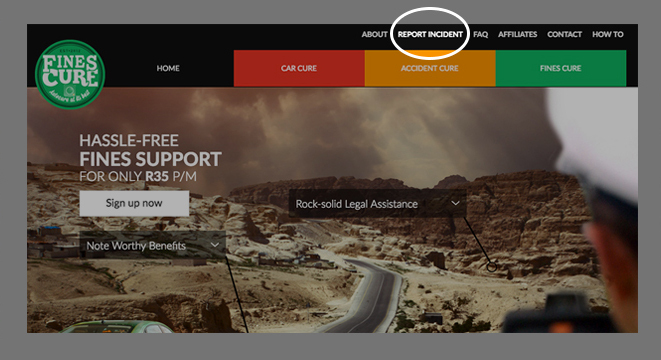 To report an incident, click here and complete the form. Please ensure you have a scanned copy of your fine. the relevant documents and photographs of the accident.